The much ballyhooed, and mega price-tagged Transbay Transit Center is San Francisco’s mass transit hub to all Bay Area destinations served by the system. It will bring 11 transit systems into a central station. 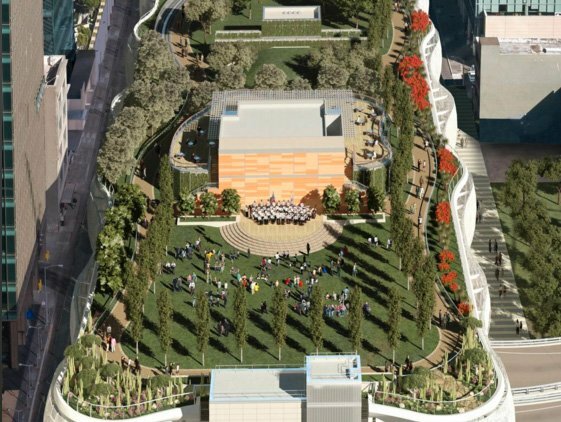 Coming in at $2.4 billion, the now-named Salesforce Transit Center began construction in 2011 toward a five-story building with bus plaza, an eye-popping 5.4 acre rooftop park and cavernous retail pop-up spaces and 6 million square feet of office space. It’s estimated 7,000 new residents will come into the center’s architecture. It was supposed to open in June with great areas of construction done in late 2017, but that date could be pushed back to August or September this year because of construction challenges. That was the announcement from the Transbay Joint Powers Authority a few days ago. There is some hope the facility will open its doors on June 1st, but the certainty of construction timelines is not quite dead on.